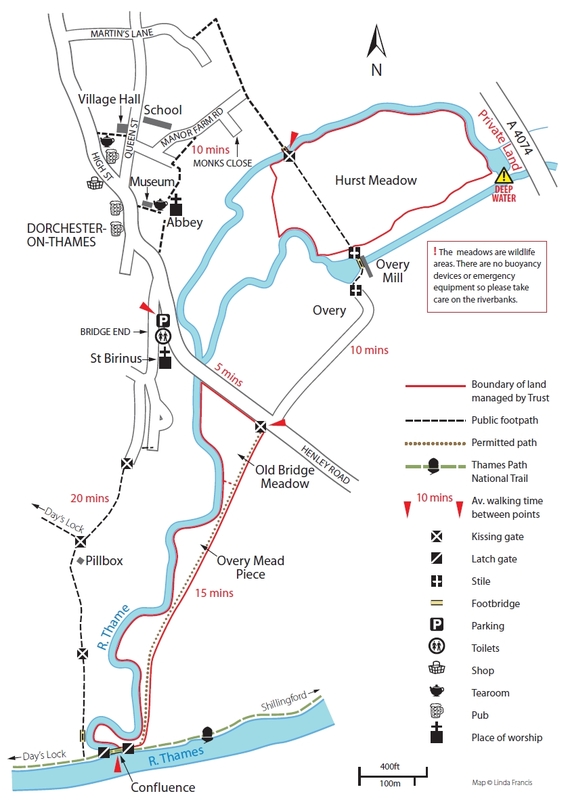 The water meadows are situated at Dorchester-on-Thames, a village in Oxfordshire, about 3 miles (5 km) northwest of Wallingford and 8 miles (13 km) southeast of Oxford. 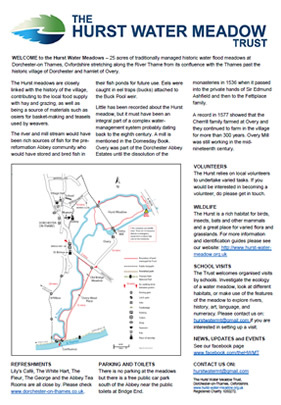 The village is a short distance from the confluence of the River Thames and River Thame. 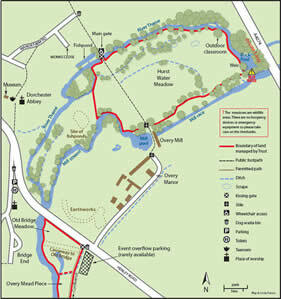 The site comprises The Hurst Water Meadow, Old Bridge Meadow and Overy Mead Piece. For a black and white printable version of this map please click here. For places to eat and drink please click here. For more information about Dorchester-on-Thames and other things to do and see, click here.